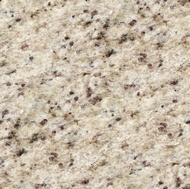 Colors: Beige, Yellow, Gold, Gray, and White, with Burgundy and Black spots. 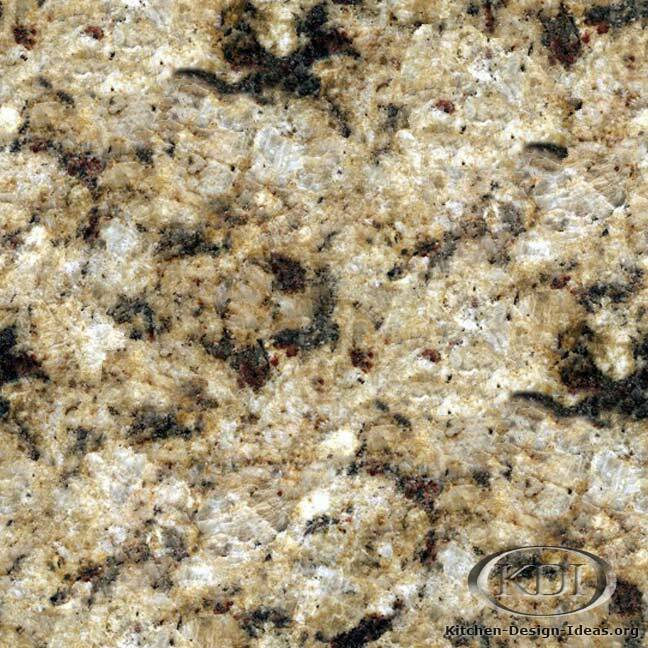 Designer Comments: In Portuguese, the official language of Brazil (where this granite is quarried), Amarelo Ouro literally means Yellow Gold. 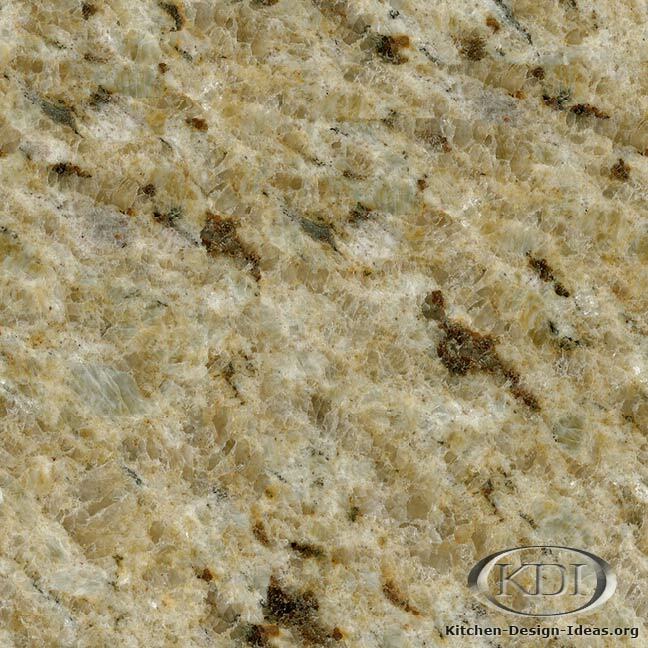 Pockets of semi-transparent gray quartz crystals add life to the surface, allowing you to "look inside" the stone in some areas. 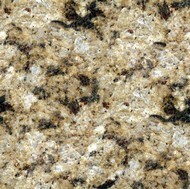 Smaller spots of red garnet and black granite add character without making the stone too busy. 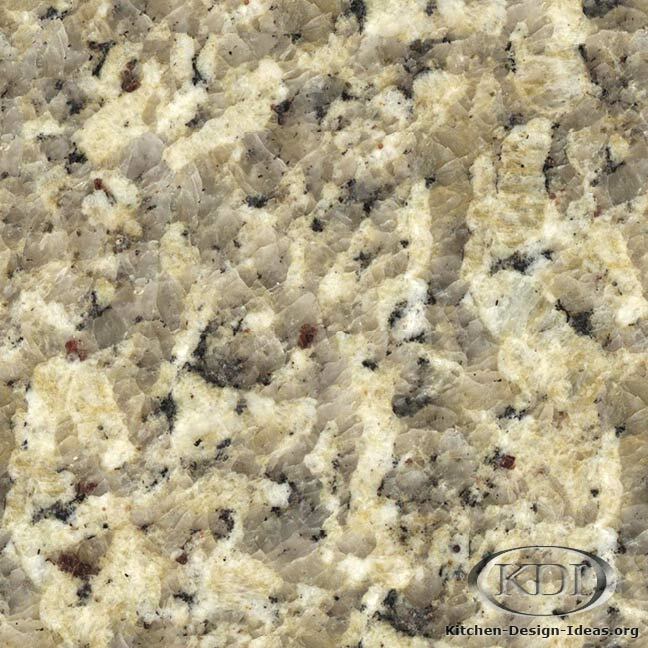 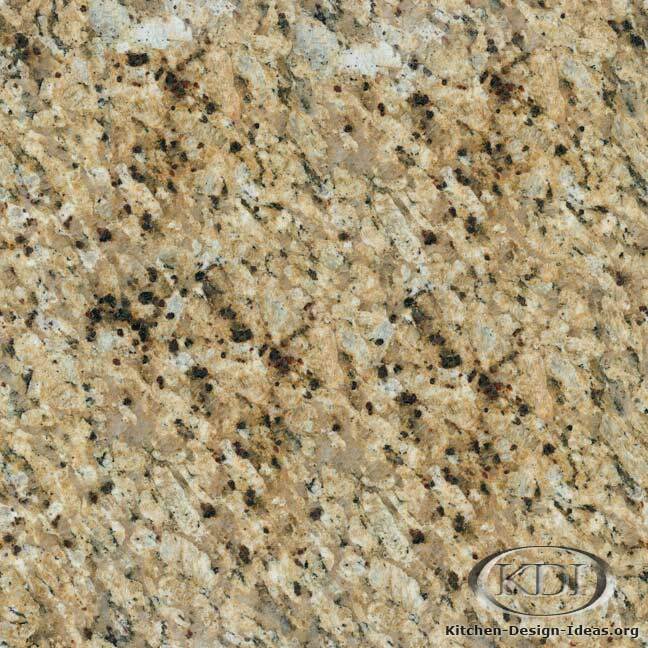 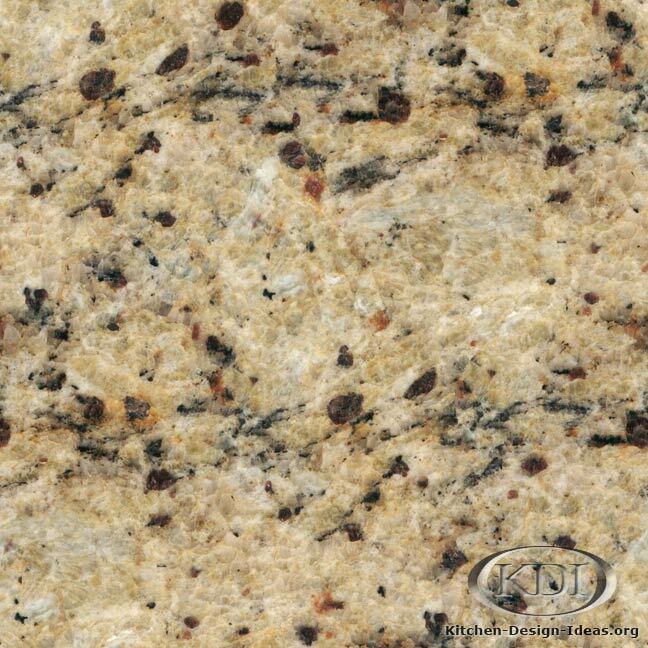 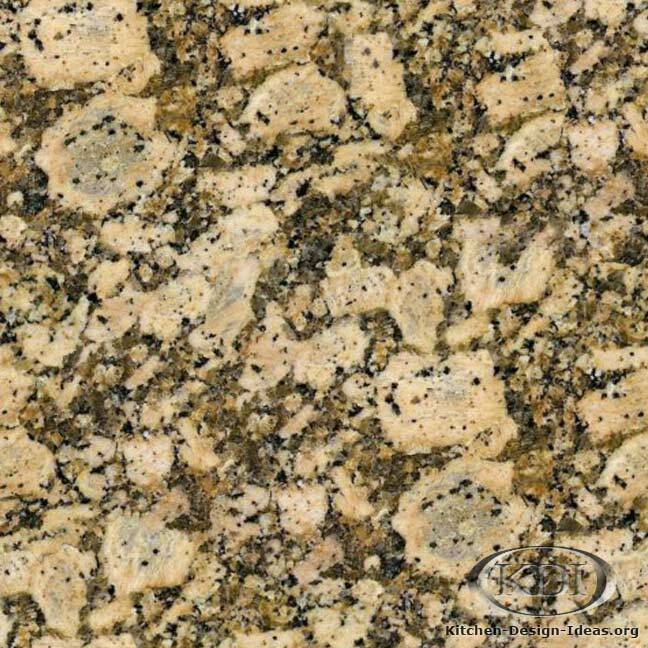 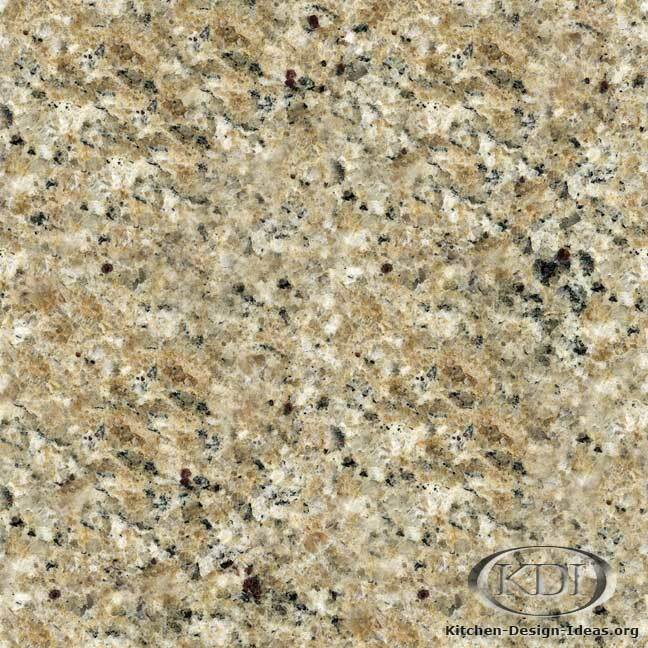 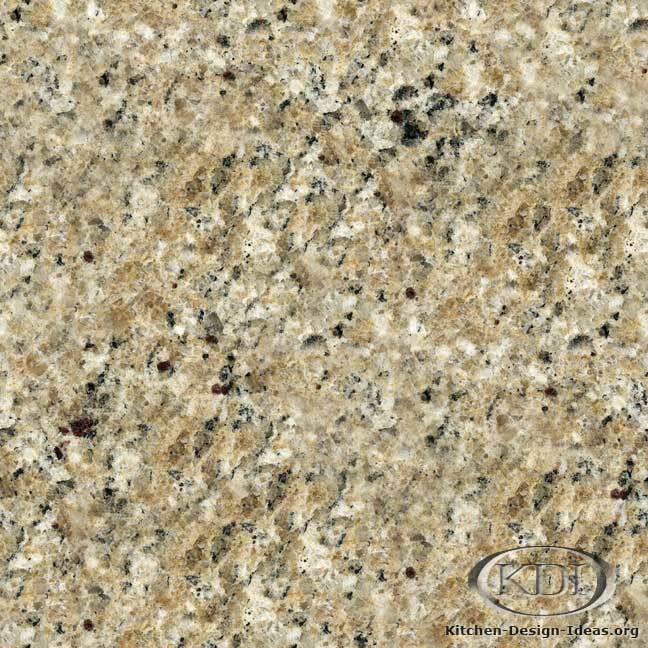 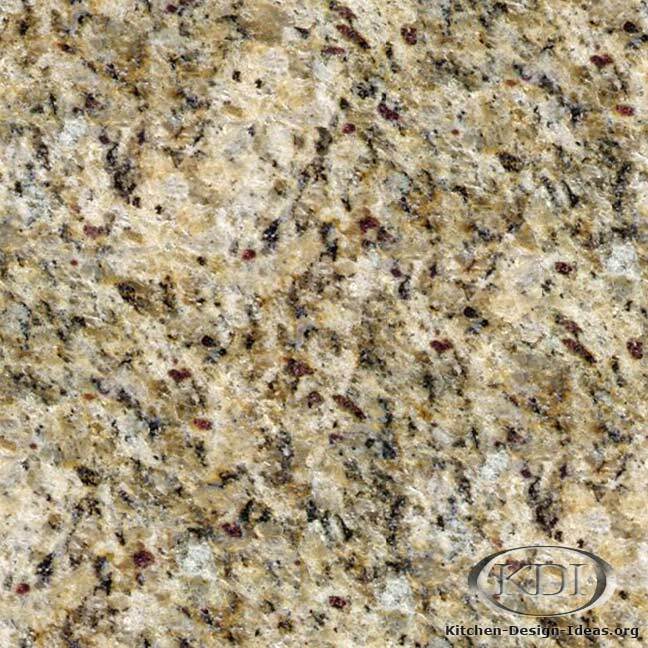 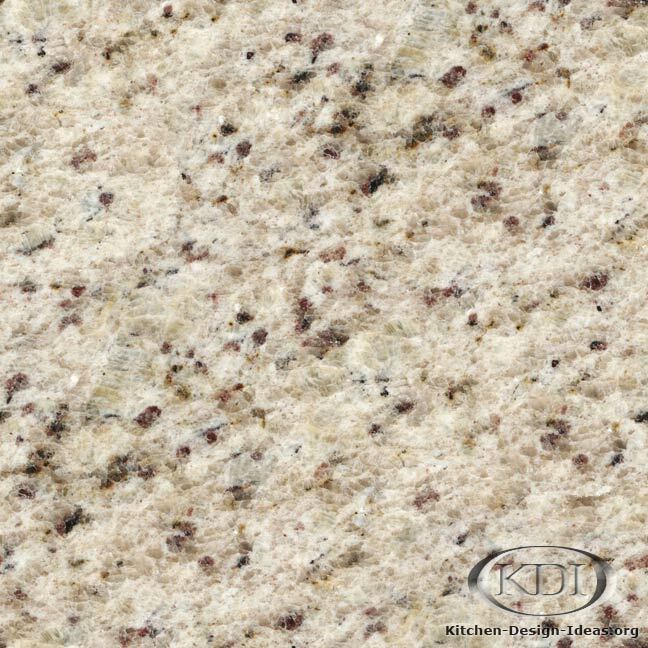 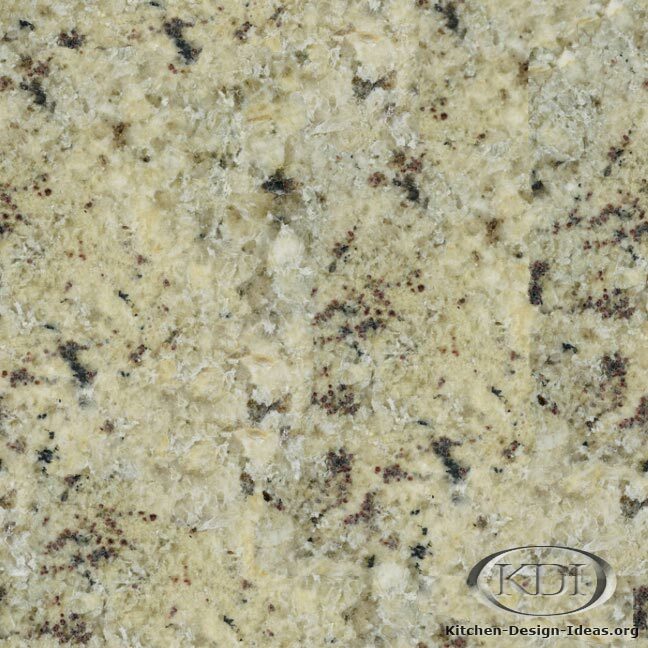 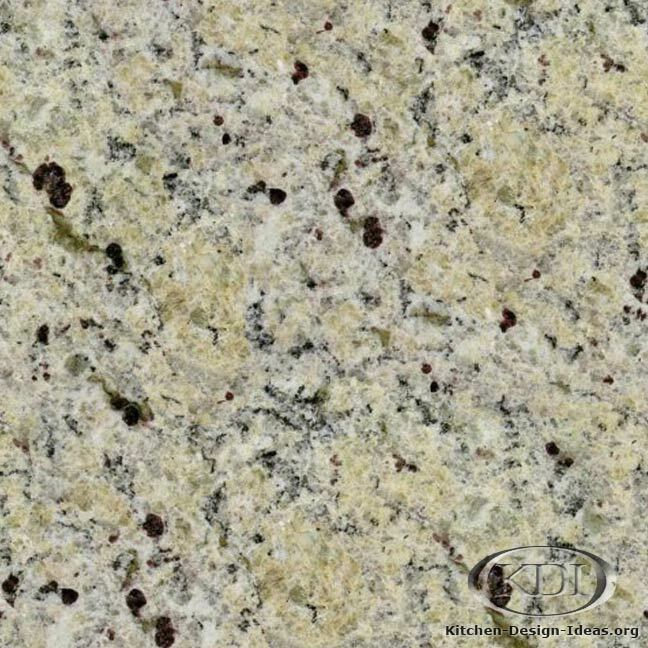 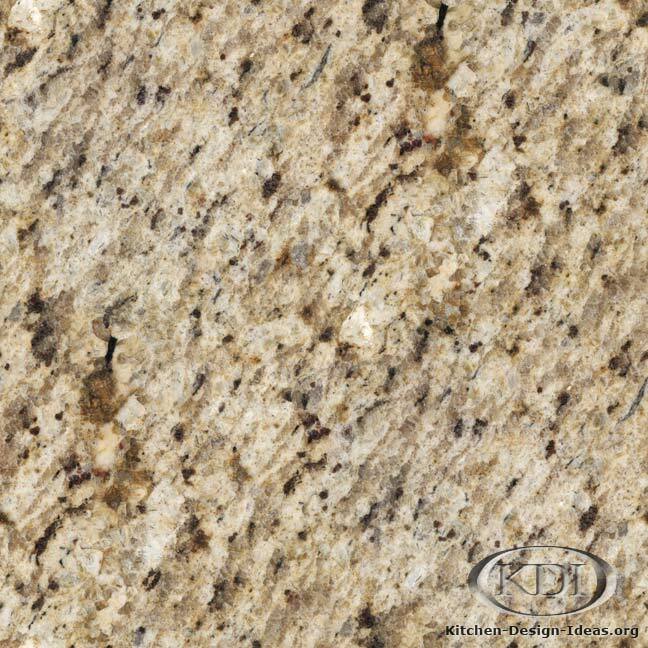 This granite could go well with a wide array of cabinet colors, including white and antique white, black, medium brown, dark Walnut, dark or medium Cherry, and even golden-brown. 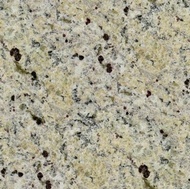 Caveat: Image and color accuracy is not guaranteed. 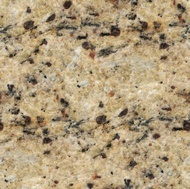 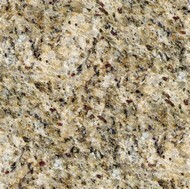 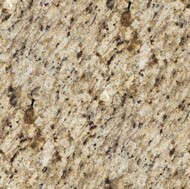 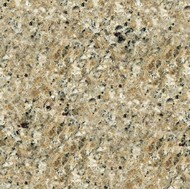 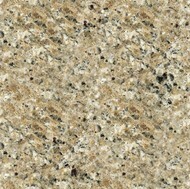 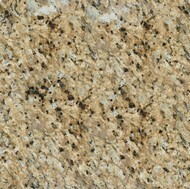 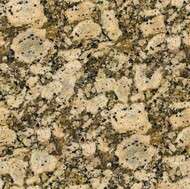 Note that granite is a natural stone, and so you will never find material that looks exactly like this photo. 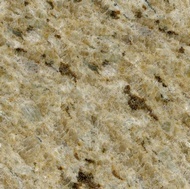 Each piece can be very different! 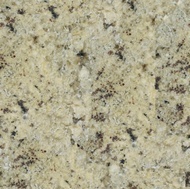 Be sure to choose your particular slabs in person when ordering granite for your kitchen remodel.